Just a quarter more to reach your destiny!!! Yes, The Exam for SBI PO going to start tentatively on June 2019. Still, you can able to do lots of things to crack SBI PO 2019. Don’t take more difficulties on your head, prepare strategically to clear SBI PO Prelims. 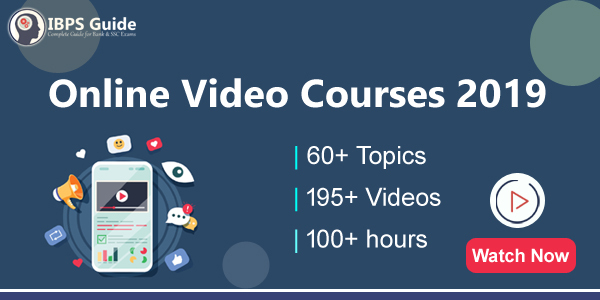 Now the educational trends are changed, Here the most comprehensive SBI PO video courses designed by skilled professionals exactly based on the new pattern. This course will teach you to prepare SBI PO Prelims and Mains exam. This video courses will come Bilingual i.e. both English and Hindi Language. This will help you to get the finest learning experience in your language to learn in-depth.